I need to know what direction the flywheel turn’s. I have no model number but the last three 57c. I also would like parts manual and know where to get air filters. Hey John, this is a Speedaire compressor, but it is actually built by Champion. Go to Grainger’s website and type in 1Z945 and then hit search and it will give you some info, I had one of these and it was built in 1972, but but the parts were the same. Also try 2Z050, same pump, some different parts, rated at 2 HP. The direction of rotation is counter clockwise looking at the sheave, should push air back over the cylinders for cooling, like a fan. In one of your replies, you commented that as you look at the sheaves, the pulley should go counter clockwise. 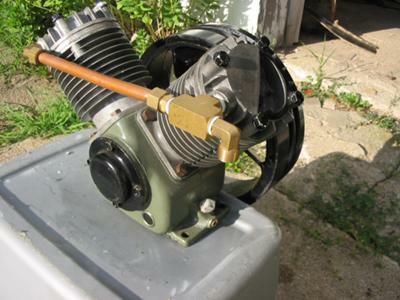 I am building a compressor using a Dayton 1z945b pump. I am not sure what you meant by the sheaves, but am assuming you are referring to looking at the pump from the air cylinder side. So if that is correct, then looking at the pump from the pulley side, the pulley should go clockwise. Is that right?